Is There More To The Brother 4×4 PE540D Embroidery Machine Than Some Cute Disney Designs? There are two very simple but important details that stand out with the Brother PE540D Embroidery Machine – the Brother name, which assures users of high quality even if it is their first machine, and the picture of Mickey Mouse. This combination of Brother and Disney should be an instant winner for prospective buyers that love the idea of creating perfect embroidered characters on their kids clothing or soft furnishings. And especially when there are 35 Disney images already on-board alongside the other decorative designs and lettering fonts. Brother invite consumers to “enjoy the versatility of this full-featured, affordable, embroidery-only machine”, suggesting that it provides the full package and plenty of project ideas. Are buyers happy with everything that is on offer here or has the Disney element overshadowed any other potential benefits? What benefits have users appreciated with this Brother PE540D 4×4 Disney Embroidery Machine? As the Disney link is one of the most heavily advertised features with this machine, it makes sense to look at the range of designs first. This really is a great idea for Disney fans because of the authenticity of the designs, the colour selections to get a precise and professional looking piece of embroidery and the range of characters. 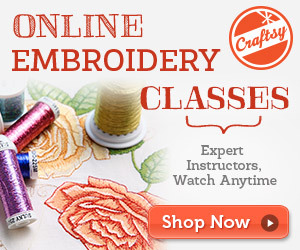 The 35 built-in designs range from classic images with Mickey and Minnie to more recent Pixar characters but the exclusive membership to iBroidery.com allows for access to much more. This versatility means plenty of choice to please the kids you may be sewing for and plenty of buyers are enjoying letting out their creativity and exploring their options. The main reason for this enjoyment and the vast number of positive reviews is, however, the ease of use, particularly for first timers that have never even laid hands on a sewing machine. Despite the many functions and options, this Brother PE540D 4×4 Embroidery Machine is simple to learn – something that is definitely helped by the instructions of the quick start manual – and it is not long before users are up and running and trying their first designs. This user-friendly nature is said to be aided by three other important features: the all-in-one LCD display with the editing functions and manuals, the size of compact, yet manageable 4×4 working space and the range of additional accessories and aids. These bonus features include the bobbins, scissors, embroidery frame, seam ripper, self-threading needle and even an LED light to illuminate the needle. If the Brother PE540D Embroidery Machine is such a joy to use and so versatile, are there any problems to watch out for? One of the most commonly mentioned flaws with this Brother PE540D is the lack of memory for storing designs. 512KB really isn’t big enough and even though the USB connectivity for importing images is helpful, many buyers would like to see a bigger internal memory or even something as simple as an SD card reader. In addition to this, there is a warning about the types of materials users may wish to work with. The promise is that this Brother embroidery machine is “perfect for adding Mickey Mouse, Nemo or other Disney characters to kids’ jeans and school bag” but there are some buyers that say it is difficult to use on tougher, thicker materials like denim and towelling because it pops out of the hoop. Not all users have this problem and have reported creating great designs on thicker items like teatowels, but it does mean that it is worth planning ahead. Summary: how do these flaws affect the final verdict on the Brother PE540D Versatile Disney Embroidery Machine? There are some areas where this machine could clearly be improved, most noticeably the issue with the memory, but the criticisms made by buyers are generally minor and do not detract from the reliable performance of the machine or the ease of use too much. The consensus from happy buyers seems to be that this is a great machine for people that have no clue about sewing. Obviously an interest in Disney goes a long way too because of the focus on the in-built designs but the ability to import images and be creative means that anyone can have a go with this Brother embroidery machine and create something nice, without the stress of needlework lessons or even the hassle of threading a needle. Find more customer reviews about the Brother PE540D on Amazon here.